The notice for impeachment of the Chief Justice of India Dipak Misra was “unwarranted” and an assault on the judiciary. 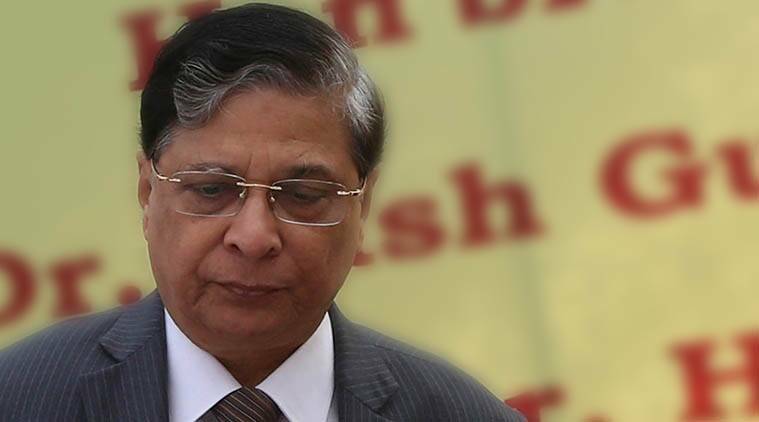 The notice for impeachment of the Chief Justice of India Dipak Misra was “unwarranted” and an assault on the judiciary, the Bar Association of India (BAI) said today. Stressing on the need to bring transparency in the judiciary, the laywers’ body passed a resolution to improve judicial governance in the backdrop of the public scrutiny faced by Supreme Court judges. “We (BAI executive committee) believe that the motion for impeachment of the Chief Justice of India, considering the facts and circumstances, was unwarranted, and was an assault on the institution of Indian judiciary,” BAI President Lalit Bhasin said in a press release today. The resolution said apex court judges should collectively establish an institutional structure for the internal governance of judiciary. The impeachment notice submitted by seven opposition parties led by the Congress last month was rejected by Rajya Sabha Chairman M Venkaiah Naidu. The resolution said that to create an environment of collegiality, the apex court judges should attend a mutual confidence building retreat to deliberate upon the issues in a cordial environment. “The collegium system cannot be and should never be a substitute for the court making key decisions affecting its functioning through the collectivity of judiciary which is represented by the full court,” it said, adding that the Chief Justice will remain the Master of the Roster.